William Hill are delighted to welcome the unified world heavyweight champion of the world, Anthony Joshua OBE, to the camp. The British sporting icon has signed an initial one-year deal with William Hill and will become our global brand ambassador, representing the bookmaker and featuring in our integrated advertising campaigns over the next year and beyond. This deal comes as Joshua readies himself to face Alexander Povetkin when he defends his WBA, WBO, IBF and IBO world titles on 22 September in front of 90,000 people at Wembley Stadium. On the deal ‘AJ’ said; “I am pleased to partner with William Hill. We are both leaders in our fields so it was only right to go ‘all in’ with them! They are promoting and marketing boxing to a huge audience outside of our industry which is something I am passionate about. Endorsing the brand in a fun, engaging and responsible way, AJ will be backing our social media and PR activities across all platforms. The 28-year-old will be looking to become the be the first undisputed world heavyweight champion since Lennox Lewis in 2000. 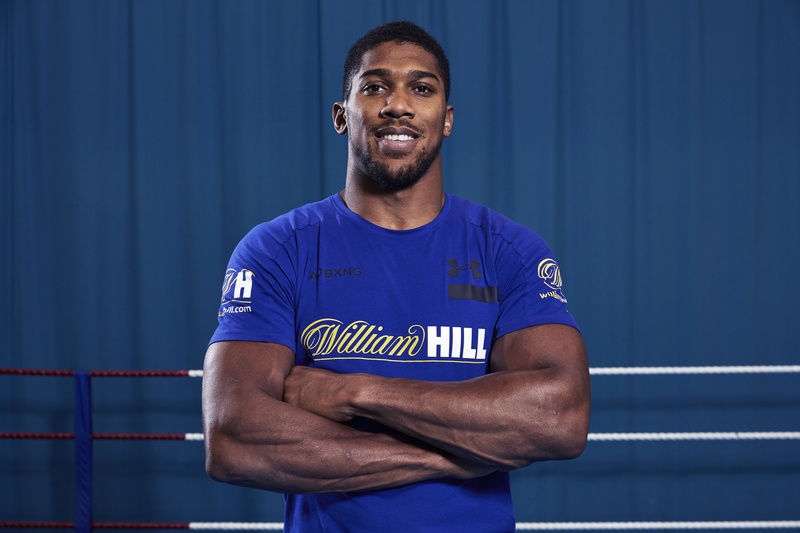 CEO of AJ Boxing Freddie Cunningham said; “We are delighted to partner with such an established and forward thinking brand in William Hill. You can check out our odds on Joshua’s bout with Povetkin here.